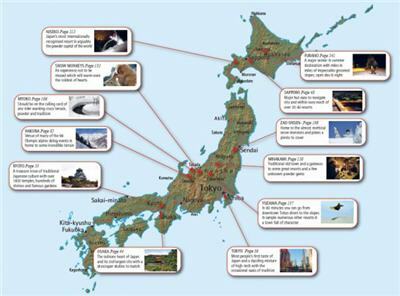 Firstly – a small disclaimer – having spent two years living and working in Japan, I am proud to say that I made two small contributions to Snow-search Japan – I wrote the “working in Japan section” and also the “Top tips”. With that said – this is a fair and honest review. It’s taken some time, but the “secret” of Japan as a world class ski destination is finally out. With almost unlimited powder, over 500 resorts and a guaranteed cultural adventure, it’s about time too. I have a lot of love for Japan having spent two wonderful winters there and have long thought that there was a market for a decent ski guidebook. Amazingly, despite Japan’s excellent ski credentials, Snow-search Japan is the first Japan ski-guide to be published in 15 years (the last being “Ski Japan!” by T R Reid). But it’s good to see that the publisher (WSG Media – World Snowboard Guide), author Keith Stubbs and the various other contributors have really done this incredible ski country justice. With full colour throughout, this well researched book has the specifics on 70 of Japan’s best ski resorts around the country including those in Hokkaido, Nagano and Niigata. Illustrated with piste maps and plenty of tasty snow pictures, it also offers handy cultural information with sections on Tokyo, Sapporo, Osaka, onsen, Japanese food, accommodation etiquette and a language guide. 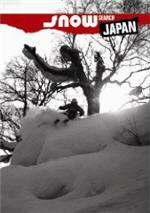 The fruit of three years of research, Snow-search Japan is comprehensive, informative and above all – inspiring. In fact, it’s not only the best ski guide on Japan ever to have been published, but one of the best ski guides out there, full stop. Why? Because it’s more than just a ski guide. Yes, Snow-search Japan has detailed info on snow depth, vertical drop and terrain, but it also delves deeper into the wonders of this fascinating country. And this is exactly what a good ski guide should do. After all, to ski or snowboard in a different country is to travel and to experience a different language and culture. Snow-search Japan has captured the excitement of Japan and its mountains and condensed it into 256 pages of goodness – as well as providing top-notch info on the ski resorts, après ski and mountain terrain too. Along with Snowboarding the World and Skiing Around The World – Snow-search Japan ranks as one of the three best ski guides currently in print, and has set a new standard of excellence by blending perfectly mountain stats with cultural facts. Absolutely recommended for any skier and snowboarder interested in what is almost certainly the most amazing snow country in the world.